Oh Steam. You just… Can’t, can you? That’s ok, this isn’t entirely Steam’s fault, let’s take a closer look. Maybe you don’t remember but a month ago we’ve written about the unfortunate leak of a games list from the Canadian branch of Walmart. Back then I had ulterior motives in focusing on the new Splinter Cell game, but the list included a lot of other interesting titles, most of which have been confirmed by this point. 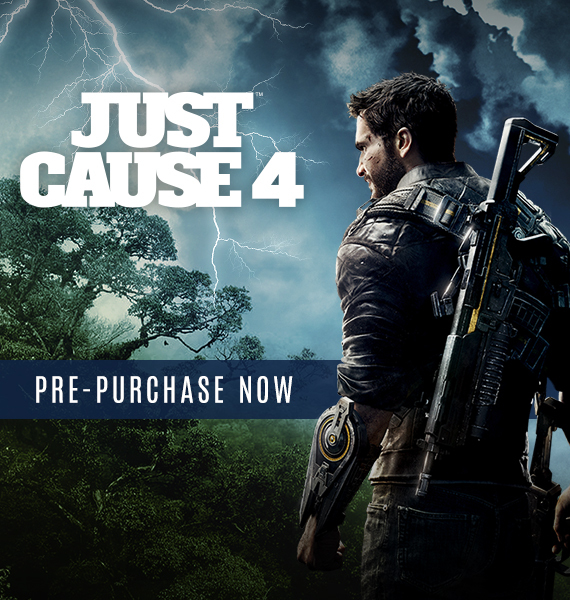 And now, in a feat of incompetence (another feat of incompetence) Steam briefly flashed a pre-purchase screen for Just Cause 4 when logged in. This particular screen has since been removed, but not before we’ve all witnessed it. This is the first tidbit of information we have on the next installment in the series developed by Avalanche, the studio reportedly working on Rage 2 with Bethesda as well. It must have been a very busy time for them. This marks 3 for 3 confirmed titles from the Walmart leaks. Curiously, no news on that new Splinter Cell game yet. Ubisoft is certainly keeping quiet on that one. Join Rico in his fight against Black Hand, an army of mercenaries who took over an island nation. Use guns, vehicles, explosives and hazardous whether in your goal of bringing pain to the power and wage a righteous one-man war in Just Cause 4.